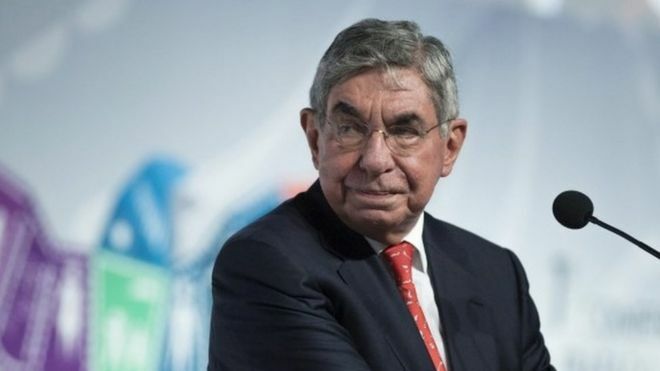 Former Costa Rican President Óscar Arias has been accused of sexually assaulting a woman in 2014. Mr Arias, who is 78 and has won the Nobel Peace Prize, categorically denied the allegations and said he had always treated women with respect. His accuser, a peace activist, has filed a formal complaint with police. She told local media and the New York Times that he had groped her after they met at his home to discuss his support for a campaign against nuclear weapons. Mr Arias was president twice, from 1986 to 1990 and then from 2006 to 2010. He won the Nobel Prize in 1987 for his efforts to end civil wars in several Central American nations.